This story was originally published by Ohio Valley ReSource. 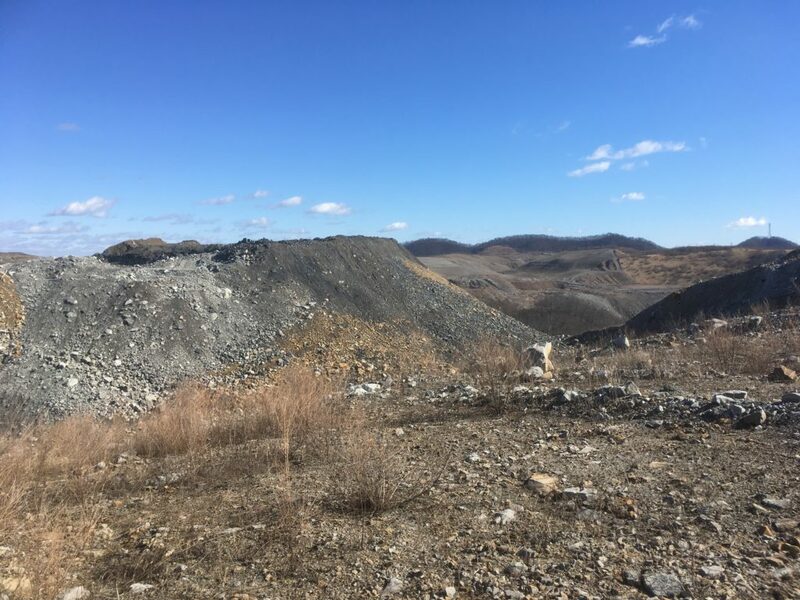 A congressional subcommittee heard testimony Thursday in support of a bill that would help clean up and redevelop surface mine land. The bill enjoys bipartisan support, but still faces hurdles. A 2015 report found that as many as 6.2 million acres of land and water were harmed by mining operations that ended prior to 1977, when significant standards were put in place to protect communities and environments near mine sites. The RECLAIM Act would distribute up to $1 billion to restore abandoned mines, primarily in Appalachia, and prepare them for future economic development. The money would come from the Abandoned Mine Lands fund, which is supported by a tax on coal. Eric Dixon, senior policy coordinator at the Appalachian Citizens’ Law Center, testified on the RECLAIM Act. He said the bill would accelerate cleanup of idle mines while spurring economic development once cleanup is complete. The RECLAIM Act was introduced in 2017 by Congressman Hal Rogers and Senate Majority Leader Mitch McConnell, both Republicans of Kentucky, and enjoys bipartisan support. A 2016 survey found that 89 percent of Ohio Valley voters approve of the RECLAIM Act, and over 50 local governments in five Appalachian states have passed resolutions in support of the bill, Dixon said. A 2017 version of the bill failed to pass the full House vote. The measure continues to face opposition from the National Mining Association. A new version of the bill has not yet been filed. Also up for consideration in Thursday’s hearing was the Community Reclamation Partnerships Act, which would ease liability for community groups that take on mine land cleanup on their own dime. The CRPA passed in the House of Representatives in 2017 but failed to come to a vote in the Senate. Woods hopes the measure will have more success in a non-election year. Woods also hopes to raise with Congress the need to reauthorize the Abandoned Mine Lands fund, which expires in 2021. Residents of Appalachian coal communities told a Congressional subcommittee Tuesday that the controversial mining practice known as mountaintop removal should be halted until its health effects are better studied. 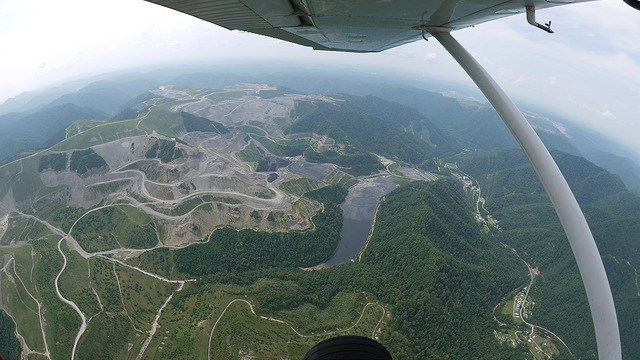 Late in the Obama administration, the National Academy of Sciences launched a study into the health effects for communities near mountaintop removal coal mines. Donna Branham of Lenore, West Virginia, was among the many residents with questions and concerns about effects on air and water quality. She was hopeful the National Academy study would bring some answers. But in the summer of 2017 the Trump administration’s Interior Department abruptly cancelled funding and ordered the National Academy to halt the study. “We felt abandoned, we felt as if our lives didn’t matter,” Branham told lawmakers. Branham was one of four witnesses from Kentucky and West Virginia who told members of the House Natural Resources Committee that the National Academy study should continue. Until such a study is complete, they argued, regulators should place a moratorium on mountaintop removal mining. Former coal miner Carl Shoupe of Benham, Kentucky, organizes for the citizens’ action group Kentuckians for the Commonwealth. He said mining also threatens cultural and natural areas that could be part of the region’s new economy. West Virginia University Environmental Health Professor Michael McCawley pointed to what he called strong evidence linking the mining practice to a variety of negative health effects. Several studies show correlation between mountaintop removal and high rates of illnesses in neighboring communities. McCawley said his work on air quality near mines also shows high levels of fine particulate matter, which are known to present health hazards. McCawley said he thinks that mounting evidence of health effects is what motivated the Interior Department to cancel the study. “I think they believed that the study was going to come out with evidence that supported banning mountaintop mining, that they knew what the evidence was,” he said. Kentucky Rep. John Yarmuth, a Democrat who represents the Louisville area, also testified about his legislation, the Appalachian Communities Health Emergency Act,which would ban new permits for the mining practice until a comprehensive health study is completed. Kentucky Coal Association President Tyler White countered that Yarmuth’s bill is too broadly worded and would have negative economic effects. Arizona Rep. Raul Grijalva, the Arizona Democrat who chairs the committee, said in an interview with the ReSource that the Interior Department had declined to answer requests for information and declined to send a representative to answer lawmakers’ questions. Grijalva said his committee is considering using its subpoena power to get documents relevant to the department’s decision to cancel the National Academy study. ReSource reporter Sydney Boles contributed to this story.